We all love a story of an underdog. Teams with players no one's heard of, coming from behind to win championships. People starting from the streets and rising to the top. There's something about rooting for the little guy who hasn't got a chance that appeals to human nature, I think. 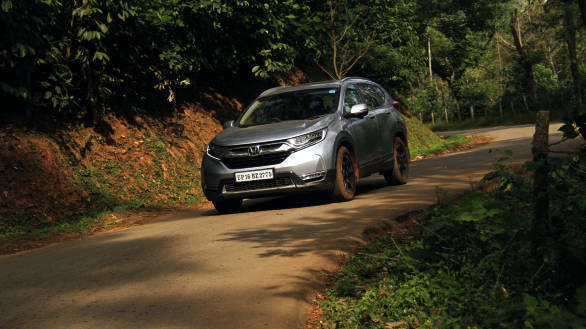 And there's nothing more underdog than a 1.6-litre engine being tasked with moving a 1.7-tonne SUV, as is the case of the new Honda CR-V.
You see, this story began with a last minute road trip, from Mumbai to Chikmagalur to cover the Rally of Chikmagalur. 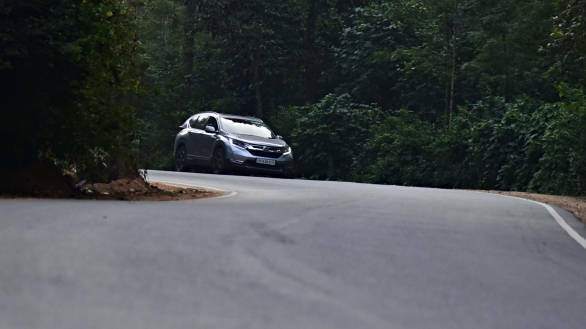 850km of highway, some of the best highways in the country no less, and many more kilometres of the tight, twisty roads around Chikmagalur, perhaps even some of the dirt paths that make up the stages of the Rally of Chikmagalur. 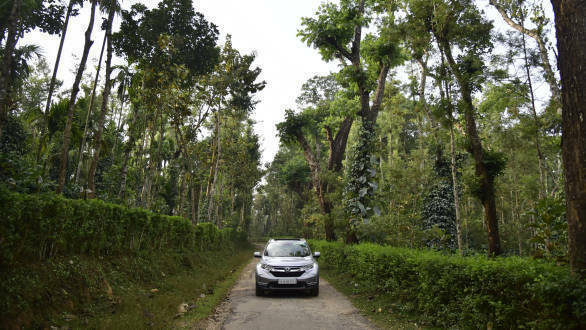 Of course, I thought, it'd be the perfect testing ground for the Honda CR-V, available with a diesel engine for the first time ever. Additionally, my first time driving it was brief, and I came away with my apprehensions of its David-pulling-Goliath setup about almost all but melted away. But obviously the prospect of a full road trip in it was too tempting to pass up, in a "let's see what happens, for science" kind of way. Getting the CR-V out of the narrow gate of my parking lot was the first sign that perhaps I'd signed up for too much. This is a large hunk of metal! And it's made worse by the thought that there's what seems like a foot-and-a-half in bumpers to think about. 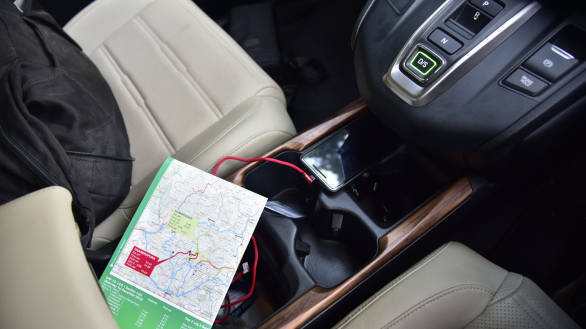 But with a little faith in the visibility out of the large windows, large rear-view mirrors and reversing camera, I found myself proceeding down the Pune expressway. Quite swiftly, too, I should add. It's at this point of the narrative that you would expect me to say power and torque figures don't matter, it's how the car makes you feel. We usually reserve that statement for supercars with a billion horsepower, where a few hundred here or there don't really register a difference. Or, for light and agile sportscars, where you're so distracted in the fun conversation between you, the chassis and the road, that you forget all about power. 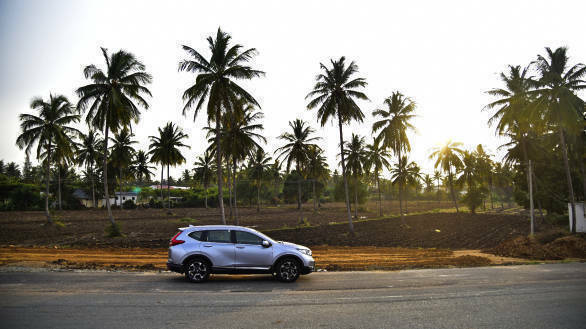 Well, the CR-V gets you to the same conclusion, but very differently. It comforts you into it. 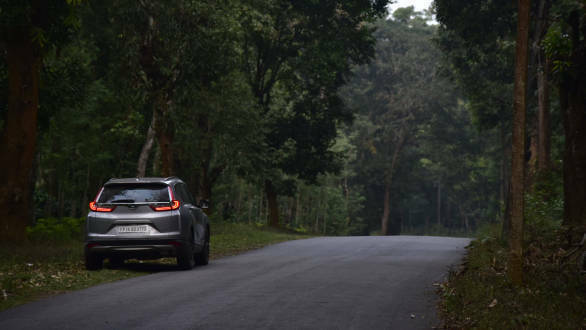 The first few times you step down hard on the throttle, you'll see the drawbacks of having just 120PS and 300Nm torque in an SUV this large, whether it's lighter than the competition or not. Those first few times, it'll seem like the motor is struggling, whether it's proven to be as quick as others its size or not. You'll probably come up with a choice question to ask the Honda engineers, if you ever got the chance. 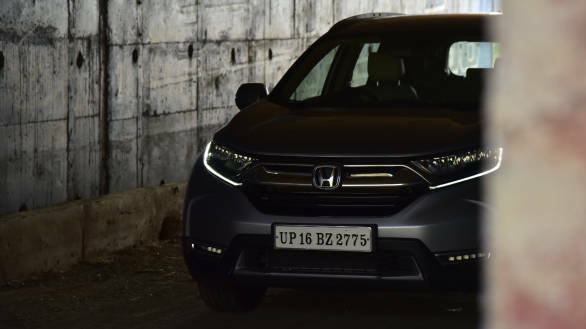 You waited all this while, for a diesel CR-V, and it's a 1.6-litre? you're suddenly getting up to speed quite quickly. Your right foot is never more than halfway through the throttle pedal's travel, yet you're at 120kmph. You only know because the speed alert is buzzing. 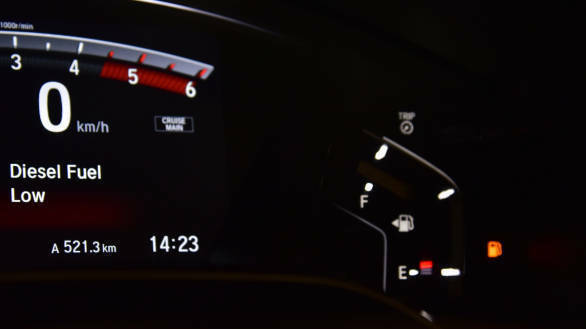 Checking the instrumentation confirms  you're just under 2,000rpm in seventh. Yes, seventh gear out of nine. At 120kmph. And it's still going. 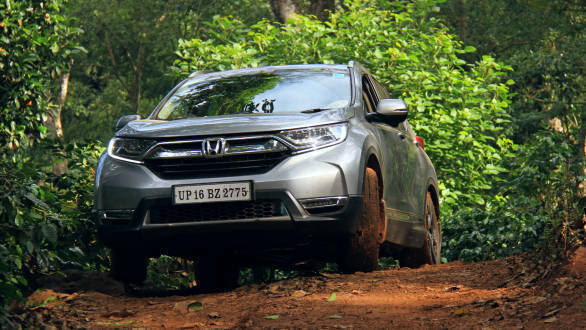 In fact, the gearbox will only shift up the more speed you pile on, so the CR-V is actually more relaxed at higher speeds than it is at 100kmph. As this truly sinks in, you realise you're almost at your destination. The bad patches of road along the way? No matter, you don't need to brake for them. It's almost like a ladder-framed SUV in that respect, except you don't feel as severe after-effects in the cabin  no ups or downs here. It's still a long journey, no doubt. Over 14 hours behind the wheel to reach Chikmagalur. And I haven't reached my bed for the night. That's at the other side of a 30-minute drive from the town. But I wasn't complaining. Because the route ran corner to corner, letting me fall into a groove. 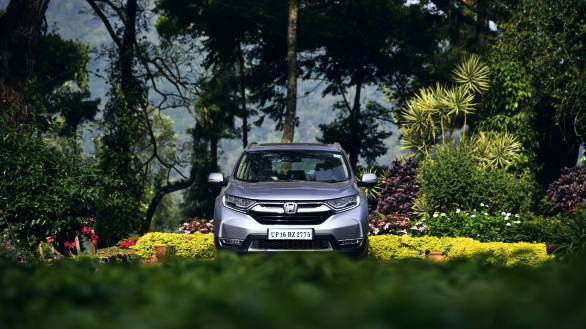 And the CR-V allowed itself to be flowed, carrying its momentum through the turns, saying the right things through its perfectly weighted steering. Very un-SUV-like behaviour from this SUV, indeed. And, while the paddleshifters called out to me, the gearbox knew the engine better, shifting up before I could, to keep it in the powerband. Sure, I would've enjoyed it more in a smaller, lighter and more exciting car. But a smaller, lighter car wouldn't have made it up the last two kilometres to the home of my host for the night, Vikram Narendra. With the right line over the really deep ruts through the estate, the CR-V (even though we had the 2WD model) trudged along and barely spun its wheels even over the slippery, sludge halfway through. Vikram says he usually parks anything less than a 4WD at the bottom of the climb. Well, here's another thing you can count on the "soft-roader" CR-V to surprise you with, then. And just like that it became clear as to why I'd grown to like it. With a small diesel engine, it still kept high triple-digit speeds on the highway. And with a monocoque construction, it still remained utterly composed over bad roads, and with its heft, it still cornered. It managed to make a convert of me, being comfortable and staying true to its core quality throughout. Unassuming and under-promising as it was, it had done everything and much more than was asked of it. Just like an underdog would.